Dynamic5 is a small software development company based in Stockholm, Sweden. Our main focus is native app development on Android and iOS, but we have experience from a lot of different platforms and programming languages, so don't let that put you off if you have a cool project. Just contact us. Native app development for Android (Java) and iOS (Objective-C and Swift). We can help develop an entire app or be part of a team in a larger project. If you have an existing project and need an overview of the source code, we can have a look and tell you our views on code quality and maintainability, suggesting changes or improvements if needed. We can help you develop various custom tools and scripts, e.g. for scaling graphics or automating different build processes. Hiring us for a project means you can enjoy the benefits of a small company: personal service, fast response times and an informal and simple way of doing business. We take pride in what we do and always strive to deliver good quality code. Quick hacks and code that "works in most cases" are some things we definitely try to avoid (unless it's just a prototype of course). Having been in the business for a long time now we have experience from a lot of different platforms (Android, iOS, Windows, Mac OS X, Linux...) and programming languages (Java, Objective-C, C#, PHP, bash...). We've also extended our toolbox to include a large variety of different tools and techniques. For you, this will ensure that we will select a suitable technology to use based on your needs. 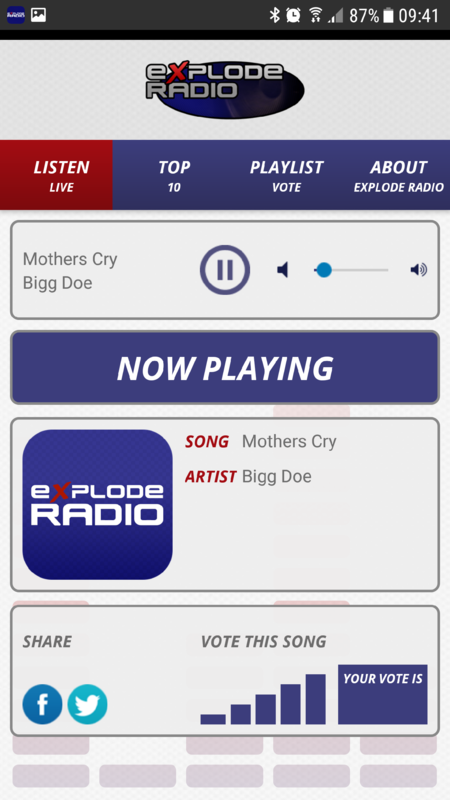 For Explode Studios we created a radio playing app for iOS and Android. The app plays a live radio music stream, as well as static "Top 10" playlists. The app user can also vote on songs. The project consisted of native clients for Android (Java) and iOS (Swift) as well as a server component for handling playlists, album art and artist information (PHP). Most apps are done with and for our customers, but we do have an app that we publish ourselves: JaBIT - Intervals for Cyclists. It is an interval training app for Android targeted at workouts on stationary bikes. Copyright (c) 2017 Dynamic5 AB.